Shop online for 23 atlantis plastic models at discounts up to 28%. Space is the most popular of the 4 atlantis plastic models categories, then Ships, and Figures. 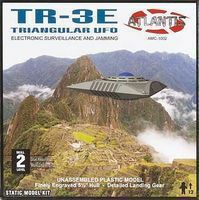 This is a 1/72 Scale TR-3E Triangular UFO from Atlantis. Suitable for Ages 12 & Up. 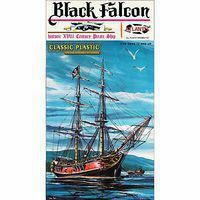 This is the 1/100 Scale Black Falcon Pirate Ship Plastic Model Kit from the Classic Plastic Series from Atlantis. Suitable for Ages 12 & Older. This is the Earth vs The Flying Saucers- Attack Saucer w/LED Light 5'' Dia. (New Tool) from the Atlantis Model Company. 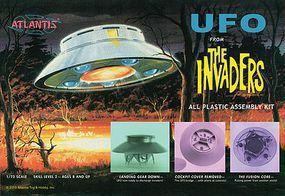 This is the I Want To Believe Billy Meier UFO 5 Inch Series with Light Plastic Model Kit from Atlantis. Suitable for Ages 15 & Older.
. This is a 1/72 Scale Hughes Airwest Jet Airliner and TWA Decals from Atlantis. Suitable for Ages 12 & Older. This is the UFO Flying Saucer 5 Inch Series 3 Piece Set Special Plastic Model Kit from Atlantis. Suitable for Ages 15 & Older. This is a 1/8 Scale The Phantom and the Voodoo Witch Doctor Plastic Model Kit from Atlantis. Suitable for Ages 12 & Older. This is a 1/10 Scale Blackbeard Plastic Model Kit from Atlantis. Suitable for Ages 12 & Up. This is the The Viking Ship (12'' Long) from Atlantis. Suitable for Ages 12 & Up. This is a 1/12 Scale White Stallion Horse from Atlantis. Suitable for Ages 10 & Up. This is a 1/12 Scale Zorro on Horse from Atlantis. Suitable for Ages 10 & Up.